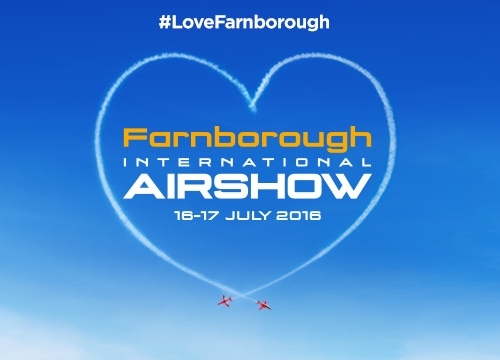 We are just hours away from the start of Farnborough International Airshow 2016. With the TRADE week starting Monday 11th July, if you are in the Farnborough area there will be lots of planes up in the skies. We are looking forward to the public weekend which is July 16th-17th this year and we are very much looking forward to going into the airshow as there is so much to see and do as well as all of the fab aircraft displaying this year too. As well as the flying displays taking place there are many more things to do inside the airshow. There will be a static display of various aircraft as well as things such as a Jeep 4x4 experience, motorbike and quad stunt show, tank driving, free fall stunt bag, a UK drone show and much much more. There is also a family area where there will be so much going on that you and your children will not be able to contain yourselves. Whether you are more creative or adventurous they will have something for you in the family area. This year they are going to have face painting and an arts & craft area for you and your family to stimulate your creative juices. However, if you fancy something a little more thrilling, you can jump on one of the fairground rides or even have a go at reaching the summit of the very problematic climbing wall. There will also be theatre entertainment from The Balloonists, A Brief History of Flight, The Astronauts, Chocks Away and The Space Cadets. Also featuring are some simulators so you can try your hand at flying an aircraft for yourself inside one of these motion simulators. Brooklands Museum will be bringing a selection of their aircraft to exhibit at FIA 2016 as well as some of their vintage experts to give you some insight to their aircraft plus some family activities delivered by the Brooklands Museum learning team. There is so much on offer for the while family and it really is a great day out to see lots of aircraft on display both on the ground and in the air plus lots of onsite entertainment, learning fun and more. 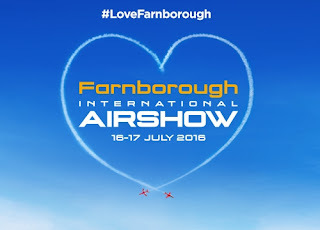 Tickets are available at the Farnborough International Airshow 2016 website and are priced at £40 for adults advance tickets or £48 on the day, concessions are £35 advance tickets or £43 on the day and children 15 years or younger go FREE! Please note; Some activities mentioned are subject to extra charges on top of the ticket prices.